In what seems to be the stirrings of a Russian “End the Fed” movement, a band of Russian Duma deputies has embarked upon a mission of removing the power of setting interest rates from the Russian Central Bank and placing it in the hands of the government. Thus, the Central Bank would be left only with regulatory duties, while placing the authority of setting interest rates in the hands of the Russian government. Fyodorov also stated that the Central Bank, as it currently stands, holds itself apart from the problems of the Russian government and the Russsian economy in general. He claims that, if interest rates are set by the government as opposed to the Central Bank, they could be drastically reduced to the benefit of the economic activity. Of course, while stating that the Russian Central Bank is a tool of the United States might be somewhat misplaced anger, Fyodorov at least has his sights set in the right direction. However, it is not the United States as a traditional enemy nation that is manipulating Russian currency, so much as it is the same coterie of international bankers that manipulates the American money supply via the private Federal Reserve and the entire Third World due to the IMF and World Bank. In all fairness, however, Fyodorov’s statement is not completely without merit. This is because, after the fall of communism, the central bankers who dominate world finance have, through IMF shock therapy and domestic manipulation of the Russian economy, largely slowed any growth in Russia, while feeding the American war machine to act as the battering ram for the implementation of the New World Order. Predictably, Fyodorov’s plan is being met with both opposition and derision from the rest of the Russian political class. As reported by the Moscow Times, Prime Minister Dimitry Medvedev’s cabinet has refused to support the legislation. Likewise, “experts” have almost universally suggested that Fyodorov’s as ludicrous with some “industry insiders” suggested that the plan was making its rounds as joke emails. Such ridicule is reminiscient of the treatment dealt to the lone voices of reason in the political wilderness of America like Ron Paul and Dennis Kucinich. Initially the criticisms of the private central bank are dismissed as conspiracy theory or fringe. But, as awareness increases and a movement grows with it, the need for an end to the private central banking system can no longer be relegated to the shadows. Fyodorov is, of course, not alone in his battle against the private central bank. Also supporting the bill are: Anton Romanov, member of the Energy Committee; Andrei Murgoi, member of the Financial Markets Committee; and Viktor Zvagelsky, deputy chairman of the Duma’s Economic Policy, Innovation Development and Entrepreneurship Committee. Although Fyodorov’s suggestions that such low interest rates at the highest levels will spur growth might bring with them some problems as well as benefits, the fact is that Fyodorov and his colleagues are undoubtedly on the right track. While it is unlikely that the private central bank will surrender any of its authority without a fight, it is high time that courageous Russians step into the ring. In my last article entitled, “As Above, So Below: The Globalist Agenda Reflected in Local Politics Through ‘Council of Governments,’” I highlighted how COG have been embedded in virtually every state and every local community inside the United States. I described how the COG works within their own structure in order to implement UN-based plans at the national, state, and local levels. I attempted to provide an example of how the COG accomplish their various initiatives through initiatives such as the Penny Sales Tax program that is being introduced all across the state of South Carolina. Clearly, anyone who studies the COG, even briefly, can understand that decisions are being made outside of the normal democratic process. However, a direct connection between the COG and Agenda 21, UN-style programs is somewhat harder to find . . . at least at first glance. Nevertheless, the COG and the concept of UN-based “sustainable development” are indeed closely linked. In this regard, the California State COG, the California Association for Councils of Governments (CALCOG), provides us with the most easily accessible information. Via the CALCOG website, it becomes apparent that the CALCOG has been instrumental for some time in the furthering of “Sustainable Communities” initiatives like California SB 375 or Sustainable Communities and Climate Protection Act of 2008. In fact, the Regional Transportation Plan 2012-2035 section of the website with subsection “Towards A Sustainable Future,” brags that the Southern California Association of Governments (SCAG) has been preparing Regional Transportation Plans since 1976. Thus, it might be interesting to note that some of the goals listed for the Regional Transportation Plans (RTP) by SCAG include, “encouraging active transportation (non-motorized transportation, such as bicycling and walking)” and, more importantly, to “Encourage land use and growth patterns that facilitate transit and non-motorized transportation.” (See Table 1.1 RTP/SCS Goals). Here, the reader can see once again another trend of encouraging non-motorized transportation that coincidentally tends to be taking place all over the rest of the country as well, particularly in major cities. To be clear, however, this writer is not suggesting that creating systems of transit that facilitate walking, cycling, or public transportation is inherently evil. This is not the case. Without a doubt, such travel systems should be made available. However, we must understand that, whatever small and largely temporary benefits that may result from the COG system is only part of a larger agenda, and that these benefits are indeed only of a transitory nature. Thus, the second point regarding the statement, “Encourage land use and growth patterns that facilitate transit and non-motorized transportation” is very important because it is here that we see the hallmark of Agenda 21 – the creation of a transportation system that discourages the use of motor vehicles and private transportation. Indeed, such a transportation system places a heavy burden upon rural communities and is only one step in choking off the lifeline that allows them to exist in a functional manner. The CALCOG also appears to have been involved in California’s Cap and Trade scheme, implemented under the 2006 California legislation AB 32 (The Global Warming Solutions Act). Such a scheme designed to reduce industry and increase the cost of energy for businesses and individuals alike is taking shape all across the world and the reasons for supporting it from a globalist and/or eugenicist perspective are legion. At the very least, CALCOG seems to have recognized the Cap and Trade scheme as a great source of revenue for future pet projects funneled down to them from the shadowy forces that form international policy. In this instance, however, it is easy enough to deduce that revenue generation was a secondary concern at best. First and foremost are the UN-based mandates that will inevitably chase billions of people out of rural areas and into cities even as industry disappears and the energy costs, which are a necessary component to any urban society, skyrocket out of reach for all but the super rich. For years, much of this type of public-private, UN-based activism has been openly conducted by organizations like the International Council on Local Environmental Initiatives (ICLEI), also known as Local Governments For Sustainability. ICLEI is an organization that is made up of over a thousand local governments (the majority being from the United States) who have bypassed Federal and State law, as well as the Constitution, in order to implement Agenda 21 policies. Indeed, most major cities inside the United States are now signed onto ICLEI. Anderson has also conducted an interview with Richard Rothschild, the first County Commissioner to officially oppose the United Nations’ International Council on Local Environmental Initiatives, Rothschild recounted some of the provisions that prompted him to oppose ICLEI early on – one of which being the proposal having to do with “city centers,” “stacked urban dwellings,” and “pedestrian and bicycle accessible” city centers. Of course, this plan is virtually identical to the plan being implemented by the CALCOG in California and other COGs all over the country. I, myself, wrote an article entitled, “South Carolina Moves To Implement Agenda 21 Guidelines,” where I addressed the same plan which was being presented to South Carolinians at the state level by the South Carolina state legislature in conjunction with the South Carolina COG. Although many COG members and government “officials” would have members of the public believe that this is mere coincidence, such a suggestion is entirely laughable. COG – at the national, state, and local levels – are introducing and implementing plans which are identical to those being introduced and implemented by ICLEI. More often than not, these plans are introduced with exactly the same language. With so many intertwining boards, councils, and commissions crossing between government, business, NGO’s, foundations, COG, ICLEI, and other organizations, there is little wonder how so much can be accomplished so fast with absolutely no fanfare to accompany it. Yet, while most of the relationships between COG and ICLEI remain thoroughly undercover, some are becoming much more open. ICLEI is pleased to welcome two regional affiliates to the Southeast Region. Hailing from the capital region of South Carolina, Central Midlands Council of Government serves four counties (Fairfield, Lexington, Newberry and Richland). Recently, Central Midlands COG released and RFP for a regional sustainability plan covering Richland and Lexington counties as well as Columbia, South Carolina’s capital and long-time ICLEI member. ICLEI tools and resources such as the Sustainability Planning Toolkit will help Central Midlands COG develop a strong and effective plan. Triangle J COG serves a seven-county region including North Carolina’s capital, Raleigh (seeing a trend here…) and has been active in the region’s sustainability conversations for some time now. Similar to Central Midlands COG, Triangle J is starting the process to develop a regional climate action plan. The plan will focus on developing the clean energy economy, for which the Triangle region is already well positions with its leading research institutions and manufactures in smart grid, biofuels and LED lighting. The clean energy economy focus aligns well with the other project Triangle J is working with ICLEI on: Triangle J COG was one of four national awardees of Green Business Challenge Implementation Packs. This will be the first regional Green Business Challenge and will provide recognition and guidance for businesses in the region to reduce their energy use and green their operations. Obviously, the open partnership between the COG and ICLEI is not isolated to the Carolinas alone. In October 2010, the Northwest Michigan COG became an affiliate of ICLEI as well. These are not likely to be the only open COG/ICLEI affiliates and they will certainly not be the last. However, the main point that needs to be understood is that the relationship need not be official to be effective. As I mentioned earlier, COGs have been implementing and introducing the very same legislation and policy as ICLEI since their inception. Clearly, the COGs are just one more undercover arm of the international elite that wish to cage human society with smart grid technology, stacked city dwelling, and a significantly reduced population. If anti-Agenda 21 activists have been at odds for a target in their local communities, they now need look no further than their local Council of Governments. For those who consistently wonder how far the tentacles of the control system reach upward, the real question better asked might actually be how far down. While many imagine a top-down system that stops at the Federal or State level, the truth is far from that. Indeed, even among those who are aware of the local aspects of the globalist system, it is assumed that a small select group of corrupt individuals are the only controlling factor in the implementation of international regulations at the local level. Again, this is a fallacy which serves to weaken the very movement that is actively opposing the imposition of the globalist system. The fact is that those individuals and committees implementing globally standardized guidelines and policies at the local level are not merely select groups who are willing recipients of Federal grants, but a wide ranging cadre of local politicians, bureaucrats, and wealthy businessmen who work together through a complex setup of organizations, groups, and councils. This is not to say, however, that every (or any) person actively furthering the globalist agenda is actually aware of the plans he is helping to implement. In truth, it is much more likely that these individuals at the lower and local levels are largely ignorant of the ramifications of their actions. Most are simply interested in furthering their own careers and benefiting from the low-level corruption that placed them in their positions to begin with and increasing the size of their investment portfolio. As one moves up the structure of control, the level of knowledge regarding the ultimate agenda obviously increases more and more. It would be impossible to describe the spider web connections between the various international, national, state, and local organizations and individuals who facilitate the implementation of the globalist agenda in one article. However, specific players and regions may be explained in more depth as an example using this writer’s own location. Bear in mind, the conditions and organizations are not unique to South Carolina. They exist in virtually every state in the country and in virtually every city and town across the nation. Thus, one should pay very close attention to the methods used and the organizational setup developed in order to further the goals of the globalists at the local level and use the framework that is described in this and subsequent articles for the purpose of uncovering and exposing the hidden governmental system that exists in one’s own community. Indeed, as my own experience highlights, although the structure of the system has been established in plain view, it is easily overlooked and hidden. Had it not been for a seemingly local issue, I, myself, might never have discovered its existence. Over the last several months, Marion County, South Carolina has been debating (I use that term loosely) the introduction of a new “Penny Sales Tax” under the guise of funding various projects. Some of these allocations are more justifiable than others but, by and large, most of the projects suggested were examples of wasteful spending given the current economic circumstances of the United States and Marion County in particular. When real numbers are added up properly, Marion County has approximately 38% unemployment and, like the rest of the country, shows little sign that there will be any improvement in the foreseeable future. Even so, individuals within the Marion County Tax Commission have begun agitating for a one cent raise in the County sales tax. These individuals have estimated that approximately $9 million will be bled from the people of Marion County for the pet projects they have introduced. Some of these projects such as County library expansion, a new animal shelter, and park refurbishment, should indeed be undertaken at some point in the future. But, the shape in which Marion County currently finds itself, and the options being presented to the people, it would not be wise to attempt to undertake them at this point. Other projects, however, are unbelievably frivolous. Commission members have suggested the expansion of rural fire department facilities when the rural fire departments are so financially strapped that they cannot afford the facilities they currently have. Obviously, providing these departments with more expensive facilities and equipment that is accompanied by even more debt is a recipe for disaster in the long run. The icing on the cake, however, is the proposed “wellness center” that has been suggested by Commission members. The center will essentially be a gym and recreation center that will no doubt cost an extraordinary amount to construct and maintain. The entire project is an utter waste of money for Marion County and will do nothing to improve the economy (the work will certainly be outsourced) or the quality of health and life in the County. Indeed, raising taxes on the citizenry, particularly during an economic recession or depression, is complete folly. Cutting, gutting, and raising taxes in such situations have been historically proven to slow economic recovery even more and, in many cases, prevent it altogether. Revenue always comes up short in the next fiscal year. Yet, while the Tax Commission is “bringing its suggestions to the people of the county,” it is also true that most people in Marion have no idea that there is any discussion over a new tax. This is partly because of apathy, but also because officials in Marion County routinely do everything in their power to keep discussions and decisions secret. Indeed, one rarely hears of any “public comment” meetings until the local paper mentions the outcome of the forums long after they have taken place. Even when the meetings occur, however, the hall is usually peppered (never even close to full) with select individuals who conveniently agree with the tax increase. Criticism of the tax is virtually unheard of among those who are proposing or promoting it. This might have something to do with the fact that the local paper, the Marion Star and Mullins Enterprise refuses to publish any dissenting views that may challenge the power structure of the County, particularly those involved in pushing the new tax. In this regard, I know whereof I speak, after having my own article (which met all the guidelines set forth by the paper) ignored. You can read my personal blog for the article and a brief account of censorship being exercised by the local media by clicking the hyperlink above. Nevertheless, for my own part, I largely dismissed this new tax attempt as just more run-of-the-mill local corruption and greed; but nothing more. Indeed, that was my opinion until I happened into a discussion with an activist based out of another county in South Carolina who told me that his county was also fighting a penny sales tax increase. This particularly perked my attention, because, in terms of the globalist agenda, when one witnesses the same developments taking shape in seemingly unrelated areas at the same time, one is generally witnessing a much wider agenda expressing itself disguised as “independent” decisions. This is exactly what I found to be the case in regards to the Penny Sales Tax. For instance, in addition to Marion and Kershaw counties, the Penny Sales Tax referendum has been introduced in Horry, York, Charleston, Sumter, Richland, Dorchester, Greenwood, Aiken, Chester, Florence, and Georgetown counties as well. The tax passed via voter referendum in most of these counties with virtually no opposition coming from any political leader and very little real opposition coming from the citizenry. Certainly, there was virtually no coordinated political action against the tax increase. Of course, some counties like Horry, which has never seen a tax it didn’t like, passed the referendum easier than others. Richland County put up much more of a fight than most other South Carolina Penny Sales Tax targets. Apparently, the impetus of the Penny Sales Tax that is being stealthily introduced in counties all across South Carolina has its origins in the South Carolina Council of Governments, a statewide body of unelected members holding unelected and unaccountable positions which essentially acts as the conduit of agenda between the Federal (hence international) level of bureaucrats and those of the local level. Council of Governments, while international in scope, exist at the national, state, and local levels. With the exception of some county-wide and state-wide Councils of Governments (aka COGs), the COGs are divided up by region, not by traditional borders. This is the case at both the national and state levels. As mentioned above regarding the county-wide and state-wide COGs, some COGs are formed at the county level specifically. This means that a county-wide COG would be made up of individuals (elected officials, businessmen, community leaders, appointees, and other more questionable members) from each city, town, community, village, or neighborhood in the county. One can take a look at the Mendocino County, Texas COG, known as the Mendocino Council of Governments, to see an example of the county-wide COG. It appears that county-wide COGs exist in counties of specific interest to the globalist decision-makers while most other COGs are region-based. Virtually every state in the country, however, has a statewide COG. The statewide COG is the main board of oversight of the statewide regional COGs. Thus, underneath the South Carolina COG, there are 10 state-based regions. These regions are not defined by traditional county borders as much as they are defined by, as their name suggests, regional interests. For instance, the South Carolina COG contains the S.C. Appalachian COG, Upper Savannah COG, Catawba Regional COG, Central Midlands Regional COG, Lower Savannah COG, Santee-Lynches COG, Pee Dee Regional COG, Berkeley-Charleston-Dorchester COG, Lowcountry COG, and Waccamaw Regional COG. The statewide regional COGs answer to the State COG – in this case, the South Carolina COG – as a directing board and oversight committee. However, the State COGs are themselves subordinate to a regional COG that is established at the National level. The official name for this organization is The Council of State Governments. Nevertheless, it is only a COG at the next highest level. The CSG (Council of State Governments) is itself broken up into regions, not bound by state or even national borders. The national level Council of State Governments CSG/COG is divided up into five regions or spheres of operation that bear an alarming similarity to the ten FEMA regions established in recent years, which is headed by a Council of Governors put into place by Executive Order 13528 in January, 2010 as required by the Fiscal Year 2008 National Defense Authorization Act. The five CSG regions are Washington D.C., Eastern Regional, Midwest, Southern Legislative, and West. Like the statewide regional COGs, the nation-wide regional COGs are subordinated to the national board of the CSG. Thus, it is a very tangled web that has been woven for one who wishes to discover the origin of a small county’s Penny Sales Tax initiative. However, what seems to the average citizen to be merely another exercise in local governmental stupidity, incompetence, or corruption actually has its roots in a much more sinister agenda – namely the implementation of UN-based planning such as Agenda 21. Yet, although even at the regional COG level, initiatives like the Penny Sales Tax introduced in Marion County and counties all across the country are largely hidden from the eyes of the public, when one understands the intricacies and technicalities involved in the interaction between the COGs and local governments, the implementation of the agenda tends to become much clearer. The way it works is that a centralized plan works its way from the nationwide CSG board and CSG regional COGs down to the statewide COG boards and, from there, down to the statewide regional COGs. The statewide regional COGs, such as the South Carolina regional COGs mentioned above (Pee Dee COG, Santee-Lynches COG, etc.) are then responsible for implementing the centralized Agenda 21-related plan at the local level via county councils, city councils, town/village administration boards, and community organizations and governing structures. In this sense, the county councils and other local governments act mainly as passive receivers and “yes men” to the wishes of the COG. Although the stated mission of the COG is merely to provide an infrastructure for local governments to coordinate with one another for the purposes of developing mutually beneficial projects and addressing concerns that may reach across borders at the request of the local governments, the fact is that the COG currently acts as a directing board to the councils, not as advisory body which serves the local governments. But while this may be the case, the evidence proving that the COG are funneling top-down decisions to local governments is not in any way openly stated on COG websites and official forums, at least those that this writer is aware of. However, when one examines the policy direction taken by the individual COG, one can easily see the same agenda taking form in each one. Likewise, the implementation of the directives issued by the COG, while taking a slightly different form in each county, is largely the same as well. Take, for instance, the Penny Sales Tax which has either been accepted or is currently being pushed all across the state of South Carolina. Keep in mind, the Penny Sales Tax, whether it has already been passed or whether it is being proposed, has been presented under the guise of several different justifications. Education, infrastructure, maintenance, recreation, highways, transportation, water and sewage, and developmental planning have all been used to justify raising the County Sales Tax by 1 cent. In Marion County, the main focus is repairs to recreational facilities, library and rural fire department expansions, and the construction of a new “wellness center.” Other counties have used this same argument in their attempt to raise the tax as well as variations on the concepts mentioned above. Nevertheless, the playbook is always the same. First, after the directives from the top filter down to the statewide regional COG, the idea is circulated amongst the COG board. Because many of the members of the regional COG are often individuals holding elected government positions, political appointees, active businessmen and otherwise influential people within their local area, the idea for raising a tax, creating a new road, etc. is easily suggested to city/county council, tax commission, or other relevant agencies and individuals. In the case of a person who is already an elected public servant, the concept can be directly floated to the council or commission of which he is a part. Once the idea is floated to the city/county councils, the tax commission - or the agency who will allegedly be the recipient of the future funds - discussion immediately begins between government representatives. Yet, although in any given county, there will be a sizeable portion of the population that will oppose the tax increase, the discussion does not generally revolve around whether or not the tax should be raised, but upon how the money should be distributed. Thus, as I mentioned earlier, the meetings and forums that deal with the topic at issue are usually reported in the local papers only after they have taken place, while those individuals who may be more inclined to support such a project are conveniently made aware of the location of the meetings ahead of time. As a result, the meetings tend to reflect overwhelming support for the program. The ignorance and apathy of the general public is also a major aid to those with an agenda, as it is in the case of most laws and policies foisted on the population. After the distribution of funds has been discussed among the individuals pushing for the increase, the tax raise is usually placed on the ballot as a referendum to the general public. Keep in mind, this only comes after months of propaganda by the local media and repetition of the inevitability of the tax increase. Thus, with low voter turnout, overwhelming apathy, and large-scale ignorance, the tax increase is very likely to pass. If it does, then that aspect of the COG mission is complete. However, if the tax increase does not pass the referendum, then the COG goes back to the drawing board and suggests a tax increase on the basis of yet another justification. As an example, if the tax increase for recreational improvements and library and fire department expansions does not pass, the next suggestion would be a Penny Sales Tax increase for road repair and maintenance. If this justification does not work, the premise of education will be used. Much like the EU Lisbon Treaty was repeatedly presented to the people of Ireland until it was finally accepted, the Penny Sales Tax will not go away. Neither will any other project initiated by the COG. It will be repeatedly introduced until the reasoning of the COG plan clicks with the public or until opposition begins to lose steam. Either way, the COG will succeed in implementing its plans (themselves coming from much higher up) via the councils and popular vote. Of course, it bears mentioning once again that the Penny Sales Tax is only being used as an example here. COG and their agents within local governments often use the same mechanism for the re-directing of roads, zoning codes, planning and development, and many other decisions that one would, at first glance, believe were made by their elected officials. Ultimately, local communities are being transformed in front of the people that live in them yet completely outside of their conscious knowledge. Indeed, the noticeable changes that do occur appear to have been made by the people themselves via their elected representatives -- pathetic excuses for public servants as they may be. However, this is by no means the end of the story regarding the COG and the agenda they are a part of. In future articles, I will describe how the COG itself operates, the history of the COG and its relationship to various international programs like Agenda 21. The official numbers are 19%. However, real unemployment figures are often double the official numbers. Tarpley, Webster Griffin. Surviving The Cataclysm. 3rd Edition. Progressive Press. 2011. On the heels of a WMD drill known as Operation Four Aces being conducted in the Myrtle Beach, South Carolina area, the state capital of Columbia is now getting a taste of the action as well. The difference, however, is that this event is not specifically centered around a terrorist attack. In fact, this drill supposedly isn’t even a drill at all. The description continues, stating that the services being provided will be available to anyone who needs medical care. However, SC Mission 2012 is somewhat more than a free healthcare fair. It is actually a disaster training exercise that will include the South Carolina Department of Health and Environmental Control office of Public Health Preparedness (SCDHEC PHP) and none other than the South Carolina State Guard. SCDHEC PHP is usually focused on preparing for natural disasters like hurricanes and earthquakes. However, the agency is now focusing on SC Mission 2012 because, as WISTV reports, the exercise might be relevant to a possible event that may “overwhelm first responders.” What this type of scenario might be was not explained. SC Mission 2012 will take place at the South Carolina State Fairgrounds and the organizers expect to see around 2,000 patients during the course of the event. The event is set to take place on August 17. Despite what would constitute a “regular disaster” remaining in question, the “same people” Lederfind refers to no doubt includes the State Guard. Yet, as stated above, SC Mission 2012 is not a disaster drill. In fact, Major Linda Warren of the SC State Guard clearly stated as much. Warren and the South Carolina State Guard are another group deployed for what amounts to real world training. The throngs of patients probably won’t realize that a team of people is preparing for the worst. Of course, it is entirely possible that Major Warren merely had a slip of the tongue and that SC Mission 2012 really is just a disaster preparedness drill. However, this in and of itself is quite concerning when one understands that these individuals are still preparing for a mass relocation of American citizens from their homes to city centers and government run “relief” camps. It is certainly no accident that the SC State Fairgrounds are serving as the training area for SC Mission 2012 as fairgrounds tend to make great FEMA camps. Even Roger Hovis stated as much when he claimed that, in the event of an emergency, such “relief” efforts would be set up at the fairgrounds or the coliseum. Furthermore, it is interesting to take a look at the SC Mission 2012 website in order to see what individuals attending the event should expect to find. Patients should arrive at the State Fairgrounds prepared to wait in line outside for services. The weather will be hot. We recommend that patients plan accordingly, bringing water and possibly a tailgating chair, while also keeping in mind that it will be their responsibility to carry and keep those items during the event. This is interesting because those who do show up for the free healthcare at the event will be standing outside in the heat (mid-August in Columbia, South Carolina), many of whom are already ill, becoming more and more dehydrated and anxious as the day wears on. Thus, it appears those agencies training (or apparently engaging in “real world” operations) have created a perfect situation for themselves in which to practice herding Americans into “relief” centers and “providing” medical treatment. In these circumstances, the trainees are able to practice doing so in lifelike situations with the patients actually being exposed to the elements for an extended period of time before being seen. While some may consider such postulation as conspiracy theory, paranoia, or fear-mongering, the fact is that the US Military, the Department of Homeland Security, FEMA, and a host of other government agencies have been planning for the forced relocation of American citizens to detention centers “in the event of a national emergency” for quite some time. Indeed, South Carolina has been receiving some notable attention recently with the aforementioned Operation Four Aces occurring in Myrtle Beach only a few weeks ago. In addition, a recent report written by retired US Army Colonel Kevin Benson, entitled, “Full Spectrum Operations in the Homeland: A ‘Vision’ Of The Future,” supposed a scenario was where “tea-party insurrectionists” stage a coup in Darlington, South Carolina. With this in mind, it might be a good idea to keep a close eye on SC Mission 2012. Of course, saying “it won’t happen here” is generally a guaranteed method of ensuring that whatever you are claiming can’t happen will happen. Nevertheless, the historically naïve masses - even those who are aware enough to seek out natural supplements and healthy food - still believe that the supplement lobby and the natural health industry are too large to be brought down by restrictive laws. The people, they say, would never allow it. Unfortunately, as much as we would like to believe in the power of the people, that power is seldom, if ever, truly harnessed. Take, for instance, the case of the European Union. After the passage of the European Union Food Supplements Directive (EU FSD) in 2002 and its full implementation on December 31, 2009, the access of Europeans to vitamin and mineral supplements has been significantly reduced. For some supplements, access has been denied altogether. A clear example of the expression of international guidelines at the national level, the EU FSD is a virtual carbon copy of Codex Alimentarius Guidelines. As a result of the EU FSD, it is now illegal for even moderate levels of many nutritional supplements to be sold to the public in the whole of Europe. Available supplements are restricted to those on the positive lists provided by the EU FSD, meaning Codex Alimentarius. In the UK, however, as is the case in much of the rest of the world, the assault on natural and alternative therapies is not confined to one front. For instance, in 1994, the Medicines (Homeopathic Medicinal Products for Human Use) Regulations 1994 was passed and amended again in 2005 which allowed for the increased licensing, regulation, and restriction of homeopathic medicines. Under current UK law*, it is an offence for a lay homeopath to supply or sell unlicensed homeopathic medicines for which they do not hold a certificate of registration from the MHRA. Unlicensed remedies can only be supplied by those with prescribing rights - medical doctors or registered pharmacists - and then only after a face-to-face consultation with the patient. Since very few homeopathic products are licensed, this means a huge swathe of Big Sugar's products are, in theory at least, not legal. Robbins’ statement is ridiculous in the sense that he labels an industry “Big Sugar” that is miniscule when compared to “Big Oil,” “Big Pharma,” and “Big Agra.” Of course, Robbins is aware of this fact and is only engaging in a silly game of semantics in order to convince the average Guardian reader, who is inherently uninformed, that Big Corporations like homeopathic product manufacturers are using scam terminology for the purpose of forcing their products on the public. This rhetoric is Orwellian in the sense that this type of behavior is exactly what we see coming from major agricultural and pharmaceutical corporations on a daily basis. Apparently, Mr. Robbins has no problem with giant monopolistic corporations cornering a market and forcing him to use their products to the detriment of his personal health and finances, so long as the individuals who wish to use homeopathic products are unable to do so. Indeed, in yet another example of Orwellian doublespeak, Robbins even suggests that the reason it has taken so long to produce and enforce regulation of homeopathic products is because of the British government’s “fetishism of free choice.” At this point, there is really no need to go on criticizing Robbins’ conclusions. Because the MHRA (Medicines and Healthcare products Regulatory Agency) is the agency tasked with regulating homeopathy, it is also “obliged to enforce the law if they receive complaints” regarding a homeopathic product. Predictably, complaints were then lodged against the homeopathic manufacturers. Of course, these complaints did not come from consumers, doctors, or victims. They came from the Nightingale Collaboration, a self-proclaimed “skeptic campaign” organization. Obviously, in place of “skeptic campaign” one can insert the phrase “smear campaign.” Indeed, organizations such as the Nightingale Collaboration largely exist only for the purpose of serving the major pharmaceutical companies who are becoming more and more discredited as time moves on. Thus, they must rely on underhanded tactics like snitching and outright lies in order to maintain their current grip on the healthcare system. Regardless, the complaints have centered around homeopathic kits manufactured by Helios Homeopathics Ltd., which were marketed only to licensed and registered homeopathic practitioners . Out of the Basic kit, Basic Plus kit, Accident & Emergency kit, Child Birth kit, and Travellers kit, only the Basic kit was determined to be marketable according to the standards set forth by the MHRA. Even though they knew about the clear guidance that was issued in March last year by the MHRA, it took a complaint from a member of the public in September to finally make it clear that their kits of homeopathic products were not allowed under the regulations because some of them were unlicensed. That is, except for the fact that it was not a “member of the public” per se who made the complaints. It was the Nightingale Collaboration. As a result of the complaints filed by Big Pharma-friendly Nightingale Collaboration, Helios and many other homeopathic manufacturers are being forced to make a decision whether or not to attempt reclassification of their products or to cease producing them altogether. However, as an act of sheer desperation to stay in business, Helio has, at least at some point, considered a more novel approach. Namely, reclassifying their homeopathic products as confectionary. If necessary we could revise the manufacturing method, the labelling of the bottles and kit box to present them as non-medicines and non-homeopathic and market them as 'confectionery'. Customers who have an interest in homeopathy would still know how to use them and would continue to purchase them despite limited labelling. There would of course be media repercussions and uncontrolled sources appearing and confusion among the public and MPs who would demand a full explanation for the change. This is an option which our customers would support if it ensured a continuation of the supply of kits until they are fully licensed. But while Robbins and his ilk use this suggestion as an arsenal for mockery, the truth is that it is the British government, regulatory agencies, and media that should be mocked. After all, it is these organizations that have forced and cornered legitimate healthcare manufacturers into the position of using ridiculous classifications for the purpose of selling their products to willing and ready consumers. It should also be noted that, in conjunction with the EU FSD which separately attacks the availability of vitamin and mineral supplements, the EU also has a directive which allows for the registration of Homeopathic products. All in all, the forced registration and licensing homeopathic products and practitioners, regardless of the level of government, is a precursor to the denial of licenses to sell and practice homeopathy. While Martin Robbins may believe that the UK government has a fetish with freedom of choice; the fact is that the English have lost almost every remnant of freedom they have ever had. Unfortunately, the police state tyranny and nanny state control system that the British are currently living under is only a precursor to what is coming to the United States in short order unless the American people suddenly grow a backbone and fight back. On Friday, August 3, 2012, the United States Postal Service experienced its first-ever default on a Congressionally-mandated payment of $5.5 billion for the retirement benefits of future employees. Although USPS is claiming that, for now, the default will have “no material effect” on the operation of the Post Office and that the agency will continue to deliver mail and pay employees, the fact is that this financial quandary has raised new questions regarding just how long the agency will be able to operate. After all, the USPS is expected to default on the second half of this payment – another $5.6 billion – in September. While the Senate passed a bill in April that provides an $11 billion cash infusion to help the mail agency avert a default, it would also delay many of the planned postal cuts for another year or two. The House remains stalled over a measure that allows for the aggressive cuts the Postal Service prefers, in large part due to concerns among rural lawmakers over cutbacks in their communities. The Postal Service originally sought to close low-revenue post offices in rural areas to save money, but after public opposition it agreed to keep 13,000 open with shorter operating hours. The Postal Service also is delaying the closing of many mail processing centers, originally set to begin this spring. The estimated annual savings of $2.1 billion won't be realized until the full cuts are completed in late 2014. Senate Democrats have urged the House to act quickly so that the two chambers can iron out the differences between their two bills. The House, though, is not expected to act until September or later. Keep in mind, September is the projected date of the second default. Article 1, Section 8, Clause 7 of the U.S. Constitution gives Congress the responsibility to establish and ensure operation of the Postal Service. Today, August 1, 2012 - 224 years after the Constitution was ratified - Congress is presiding over the disestablishment of the Postal Service. Today a manufactured default created by Congressional legislation is pushing the Postal Service to the brink. Today the Postal Service will not make a payment that it should never have had to make in the first place to pay for prefunding 75 years of retiree benefits in 10 years. A manufactured default encouraged by banks and other interest groups. A move toward privatization of one of America’s most vital services. The Congress has a responsibility to stand up, but here in the U.S.A., under Citizens United, everything is up for auction including the Postal Service. Wake up, America. Universal service is on the line. Wake up, America and stand up for the Constitution. 575,000 Postal Service workers and our obligation to the American people to see to it that the Postal Service is rescued from those who want to push it into default or privatize it for their own profit. The mandate that Kucinich mentioned in his statement is a provision that was included in the Postal Accountability and Enhancement Act of 2006 which requires the Post Office to fund the health care benefits of future retirees as far out as 75 years into the future and within a window of ten years. It was precisely this mandate which I addressed in my article “Engineered Austerity Coming to America Starting with the Post Office” in May. Nevertheless, it is this Congressional mandate based only in reactionary propaganda that is bankrupting the USPS – not mismanagement, greedy employees, or reduced mail traffic. This is because the mandate costs the USPS over $5.5 billion per year (equal to about 2 weeks of the cost of the war in Afghanistan). In addition, while the Post Office is being relegated to the humiliation of default and bankruptcy, the federal government is actually holding billions of dollars of overpayments made to the pension fund. When one is able to grasp the manner in which this system operates, it is hard to see how the USPS or any other agency or business for that matter, would be able to stay afloat given the same conditions. For instance, virtually every other business that maintains a retirement program does so as a pay-as-you-go system. Ironically, in the case of the United States government, the social security program that actually needs a trust fund, has been turned into a pay-as-you-go system for some time. In addition, as FireDogLake reports, all of the Post Office’s losses over the past four years have come as a result of the Congressional mandate. Even the Washington Post has had to report similar numbers, particularly in regards to erroneous claims that mail volume is the cause of USPS default. During that period, the prefunding of retiree health benefits cost $21 billion. Without that congressional mandate, the USPS would have cleared $611 million. It also bears noting that, while the increasing use of online bill payment does play a small role in the reduction of postal customers, the economic depression also plays a role. Naturally, mail delivery and all other services will decrease as the vast majority of Americans are financially strapped and as less and less businesses continue to exist inside the United States. Indeed, Congressman Kucinich is also right to point out that “there are those who want to push it [USPS] into default or privatize it for their own profit.” It seems that part of the goal of the demise of the Post Office is not merely to break up the agency and divvy up the spoils for private competitors or simply eliminate the most effective competition that exists for them. However, the enemies of the USPS are not only interested in destroying basic competition and establishing a privatized monopoly on the market. Corporate predators and other agents of Wall Street have a vested interest in seeing the USPS dissolved for other reasons. Keep in mind the fact that the retirement “prefund” has been stacked to the tune of billions of dollars, a lucrative harvest come feeding time for the Wall Street jackals. Thus, it is very likely that the Wall Street manipulators and their puppets in Congress have intentionally loaded the USPS with both debt and assets for the purpose of wholesale stripping when the final nail is driven in the coffin of the agency. If the USPS is declared bankrupt and insolvent, the devouring and distribution of the agency’s assets and employee healthcare fund will likely begin before the ink dries on the death certificate. Because of the relentless reactionary propaganda push against “government spending” and the Post Office in particular, the logic presented by the agents of Wall Street asset strippers may unfortunately seem to make sense to the general public. But, while the members of the general public may envision a utopia of companies competing to deliver their mail, the reality will undoubtedly be much different. For all their rhetoric about competition and lower prices, the amount of price increases for the base level of hard copy correspondence will skyrocket as soon as the Post Office ceases to exist. Just take a look at the private competition in the market now and you will easily see how much your mail delivery costs will rise if the Post Office option is no longer available. With USPS out of the picture, it is just as likely that the private companies will not only continue to gouge customers, but that prices will increase dramatically using fuel costs and anti-union sentiment as justification. 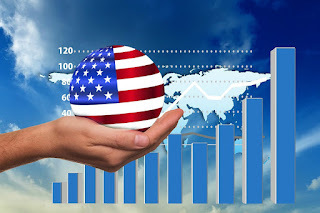 Currently, the United States Postal Service stands as a model for the rest of the world in terms of logistical capabilities, infrastructure, and especially pricing. It is, in fact, the cheapest mail shipping method available amongst Western nations and most of the rest of the world. It is also one of the only services that reaches virtually every American and does so on a daily basis. Besides the manufactured debt of the USPS, for all intents and purposes, it accomplishes its goals of getting the mail to you in a timely fashion. It might be hard for many to comprehend the ramifications of the privatization of mail and shipping services currently administered by the USPS. However, one need only look to Europe to see that, invariably, prices will rise. Indeed, one need not look across the ocean when a glance at the domestic landscape would prove the same point. A glimpse of UPS and FedEx should be self-explanatory. With this in mind, it is also worth noting that price increases will be especially true (and especially harmful) for rural areas where no competition exists. Rising prices in shipping have long been a problem for businesses, especially the smaller ones. The removal of the USPS option might even be the death knell for many of them. As it stands, it is possible to put a business virtually anywhere in the country because of the availability of the USPS. However, removing those services will force a great many to move further into cities. Those unable to do so may be driven into extinction. This plan for reduction of services to rural areas may also dovetail with the intentional increase in urbanization called for by UN plans such as Agenda 21. Removing Post Office services from rural areas would be just one more step in the designed inaccessibility of rural living. Author Brandon Turbeville will be on live with Madison Ruppert at Orion Talk Radio August 5, 11 pm - 1 am EST. This special discussion will include the latest on the Sikh shooting and gun control, whooping cough propaganda, Syria propaganda and more. Madison Ruppert is the Editor and Owner-Operator of the alternative news and analysis database EndtheLie.com and has no affiliation with any NGO, political party, economic school, or other organization/cause. He is a prolific writer and investigative journalist who exposes the global corruption daily with his work appearing frequently not only on his own site EndtheLie.com, but also on Intel Hub, Activist Post, as well as on many other alternative media outlets. You can find the TalkStreamLive radio stream link HERE at Orion Talk Radio. For Brandon Turbeville's most recent articles, visit his archive page HERE. In yet another move that could be seen coming from a mile away by even the most casual observer, a recently released statement from the Department of Defense is announcing that U.S. agencies are now “aiding” Afghanistan to locate and pinpoint the nation’s mineral wealth. This “treasure mapping” of Afghanistan is being conducted in anticipation of the opening of the bidding process for private companies who are no doubt salivating as they wait in the wings for their opportunity to gobble up the natural wealth of the impoverished and war-torn nation and, subsequently, turn it into massive profits. As part of the DOD’s Task Force for Business and Stability Operation (TFBSO), the DOD and USGS (United States Geological Survey) are working together to “map more than 70 percent of the country’s surface and identify potential high-value deposits of copper, gold, iron, and other minerals.” Obviously, the initiative also includes the Afghan Ministry of Mines and the Afghan Geological Survey. However, the term “hidden” is only a matter of perspective. While the mineral, oil, and gas reserves might have been hidden to the vast majority of the world’s population, they were anything but to the major governments that rule over them. For instance, even the DOD press release admits that the USGS obtained data form a former Soviet mission that took place over 10 years to “help” the Afghan government with the mapping of these treasures. Much of the admitted data was anywhere from 50 to 75 years old, yet there is no doubt that the current invaders were well aware of its existence long before boots ever hit the ground. Indeed, it is an interesting coincidence that two superpower invaders in modern history would place so much emphasis on the geological mapping of an area consumed with so much turmoil and tactical resistance. Nevertheless, the USGS, in conjunction with other groups and agencies, is using hyperspectral instrumentation in order to map the Afghan treasure trove. During a period of 43 days and 23 flights, the USGS flew close to 23,000 miles across Afghanistan. In addition, NASA contributed its own aircraft in 2004 for the same purpose. It was actually the NASA mission that helped map the 70 percent of the country mentioned earlier. It is a very interesting coincidence then, that this country would also be the target of continual invasion and occupation throughout history. However, it is obvious that the mineral, oil, and gas deposits were well-known amongst the oligarchical world elite for some time. This, of course, includes the “American” branches of the elite club as well. America’s global primacy is directly dependent on how long and how effectively its preponderance on the Eurasian continent is sustained . . . A power that dominates Eurasia would control two of the world’s three most advanced and economically productive regions . . . most of the world’s physical wealth is there as well, both in its enterprises and underneath its soil. Mr. Brzezinski is well informed of world affairs indeed. 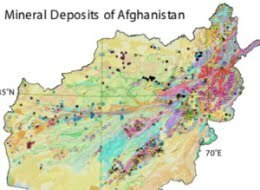 Once a company wins a bid for an Afghan sites, it will gather all information about the site, including the hyperspectral data and any geologic, geochemical and geophysical information, he [Medlin]said. It will also send its own geologists to the site to do detailed mapping and arrange for detailed airborne gravity and magnetic studies, Medlin said, which gives the company a subsurface three-dimensional picture of the ore deposit. This is quite the service indeed, since such exploration seems like it would be something that the companies themselves would undertake when exploring new territory for minerals, oil, and gas. But, why would they do so when they have the taxpayer to get that part of the project out of the way for them? Beyond the obvious lucrative aspects of the minerals mentioned above, however, it should be noted that just the deposits of lithium under Afghan soil is expected to rake in astronomical profits which is described as being in the trillions of dollars by internal Pentagon memos quoted by the New York Times. Indeed, with the rapidly increasing transition to total cellphone use and electronic communications, directional, and operational systems, lithium will only increase in value as time progresses. One only needs to take a look at this short list of the highly-profitable uses of lithium in order to understand the importance the mineral already has and is set to have in the future. Of course, Ambassador Hakimi’s optimism might be just a bit premature. The likelihood that the revenue coming from the extraction of these minerals will find its way to the Afghan people is extremely low if history is anything to go by. Jobs, however, as underpayed, overworked, and expendable mine workers might actually be available; so at least part of his statement has the potential of coming true. In the end, those that accused their governments of marching to war in Afghanistan for ulterior motives have been proved right yet again. Whether the reason for military invasion and occupation of the devastated nation was the result of a desire to control the opium trade, minerals, oil, and gas, or to secure pipelines and strategic geopolitical positioning, the fact is that the false flag attacks of 9/11  served only as the justification  – not the reason. Indeed, in my experience, there is rarely only one reason for any move that is made by the ruling elite. The only real question is how many times those have studied history must be proven right in hindsight before the masses begin to take notice in the present. Notes:  Tarpley, Webster Griffin. 9/11 Synthetic Terror: Made In USA. 4th Edition. Progressive Press. 2007. Griffin, David Ray. The New Pearl Harbor: Disturbing Questions About The Bush Administration And 9/11. Olive Branch Press. 2004.